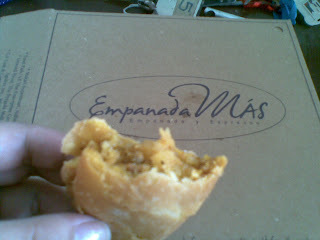 I love empanadas! 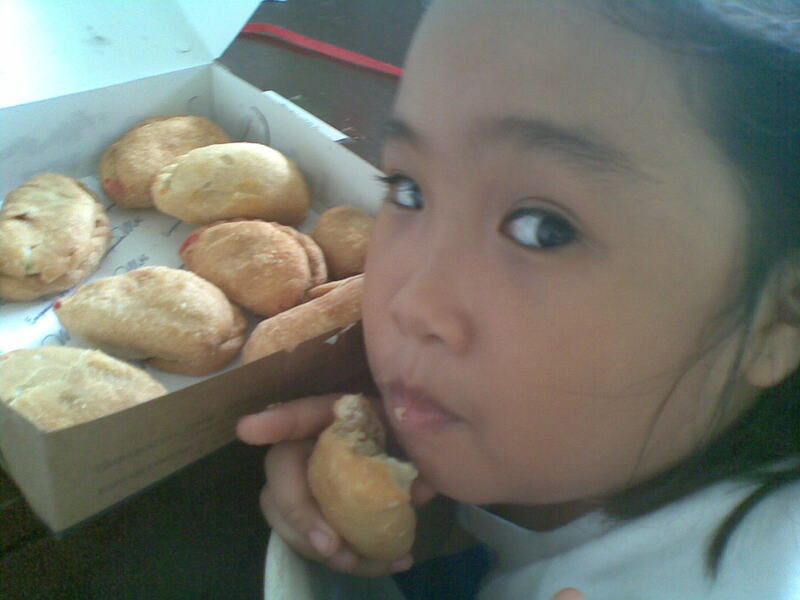 Whenever my family would come to Quezon City and visit my father's clan, I would always get my fill of bite-sized empanaditas sold at K-3rd Street. 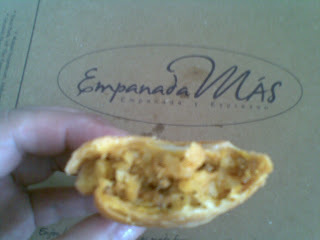 This pastry-based pocket food is one of the delicious food treats which Filipinos learned to adopt from 333 Spanish rule in the Philippines. Each region in the country has its own variants, depending on the locally available ingredients. Fillings can range from sweet, dessert-type flavors to savory meats, cheeses and vegetables. The word "empanada" comes from the Spanish word "empanar", which translates to coat with bread. Empanadas are made by wrapping a filling or stuffing in pastry. These are then either fried or baked. 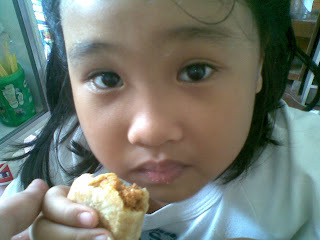 Luckily, my daughter and I stumbled over Empanada Mas at the Alabang Town Center. They offer gourmet empanadas at reasonable prizes and offers choice of four fillings: a spicy jalapeno, a savory pork meat or chicken filling, ham and cheese. Our newest discovery led to wonderfully flavored empanada fillings and perfectly complementing pastry dough! Very inexpensive! And since these empanadas come in a variety of unique flavors, there is always something for everyone in the family! Given that I am a meat-eater, I lean more towards the chicken and pork variants. My daughter loves the one with the chicken filling as well plus the one with white cheese variety. These gourmet empanadas are great to heat up in a toaster oven for a quick snack or meal so we can always have a delicious and filling snack at home. Try it now! this made m hungry lol. cute post! by the way, i have an ongoing giveaway on my blog. Do join if you haven't yet! thanks!